James Moseley recently sent me a letter that he described as “an exclusive” concerning the recovered aliens and saucer at Roswell. It was a printed e-mail that Karl Pflock had sent him with some notes written on it. The content of the e-mail was another classified document stating that there was no physical evidence to examine from crashed flying saucers. In the late 1990s, these kinds of documents were presented by Phil Klass, Robert Todd, Kent Jeffrey, and Karl Pflock as evidence against the idea that there ever was a crashed spaceship at Roswell. These classified documents reflect the actual knowledge of these gentlemen at the time they were writing them. Not once, in all of the documentation released to date, is there any mention of a spaceship or saucer being actually recovered and studied by the USAF! In July 1947, the Roswell event occurred. If we are to believe the present mythology, hundreds, if not thousands, of airmen and civilians were quite aware of what happened in New Mexico that week. However, for some reason, the official record is barren when it comes to this momentous event. In fact, they seem to point towards a more terrestrial source. The official record of the Roswell incident pretty much relies on news reports, unit histories, and an FBI telex. 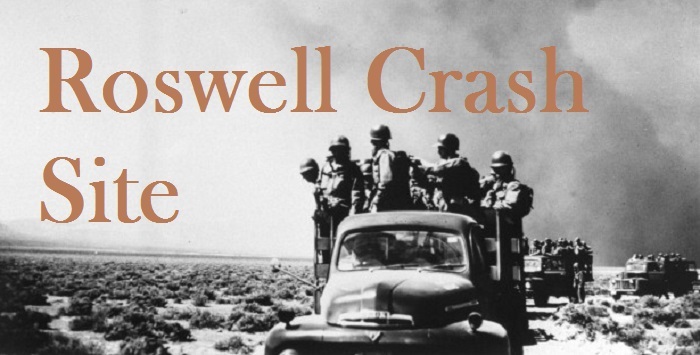 The morning reports/history of the Roswell Army Air Field/509th bomb group indicate no unusual activity despite hundreds of airmen supposedly being deployed throughout New Mexico to retrieve and transport a crashed saucer. Was it left out by accident or did h(2) scare the writers so much that they did not want their readers to see it? If the AF had recovered an actual flying saucer, why would they waste the time with this type of report and analysis? At the end of 1947, project Sign was created in an effort to collect and evaluate UFO sightings. They were to determine what the causes of these UFO reports were and work with various agencies to accomplish this task. While there is the document often referred to as the “Estimate of the situation” (which suggested the possibility that UFOs COULD be extraterrestrial but did not mention Roswell) described by Ruppelt, nobody has ever seen the document or any document that suggested it really existed as described. However, there are other documents from the days of Project SIGN that demonstrate they knew nothing about the USAF having an actual crashed disc in their inventory. The key words were that no concrete evidence was available. Once again, we have McCoy confirming that he had absolutely no knowledge of an alien spaceship crash. McCoy’s letters were probably due to him feeling some heat from above about Sign’s apparent lack of progress on the UFO problem. a. In the majority of cases reported, observers have actually sighted some type of flying object which they cannot classify as an aircraft within the limits of their personal experience. b. There is as yet no conclusive proof that unidentified flying objects, other than those which are known to be balloons, are real aircraft. Once again, McCoy is stating that there is no physical evidence for them to examine and that no crashes have yet been recovered. All of this collection of data culminated in what became known as the Air intelligence report #203 (Appendix “A” was classified TOP SECRET). It concluded that these flying saucers, if they were real craft, could be one of two things. The first would be domestic devices like experimental craft. The other was the idea suggested by General Schulgen’s memo a year before. They suspected they were Soviet aircraft based on German designs captured at the end of the war. There was also concern that the propulsion plant might be atomic in nature. Additionally, appendix C of the study listed various UFO reports. Roswell was not one of them. In all of these letters and reports that have been uncovered over the years, one major theme recurs. The USAF was more concerned that these reports were of Soviet aircraft that were revolutionary in design and not concerned they indicated a potential threat from outside the Earth. Again, there is no mention of Roswell and the USAF commissioned RAND to look into the idea that these could be alien spaceships! If they had already recovered one, why spend the money on something they already knew? General W. M. Garland, who would eventually take over at the head of ATIC, wrote a memo in early 1952 that addressed the UFO question again. As was the case in 1948, General Garland was concerned about these flying saucer reports being observations of Soviet aircraft. The question remained why did the USAF have a fascination with the threat of Soviet aircraft being the source of these UFOs, when they already knew that UFOs were alien spaceships? Bluebook spent most of 1952 chasing hundreds of UFO reports. By the end of the year, the CIA had become involved in the UFO question. They commissioned a blue ribbon panel of scientists to evaluate the UFO problem in January 1953. This meeting was classified secret and is referred to as the Robertson Panel. Not once was a spaceship crash mentioned. Additionally, if they already knew that flying saucers were alien spaceships, why would they bother to waste these scientists time looking at UFO reports? Once again, the crashed spaceship link is missing. Project Bluebook’s Special Report Number 14 is considered by some as one of the greatest documents produced about UFOs by the USAF. It was an effort by Battelle scientists to examine all the reports and analyze them scientifically. What did it say about crashed flying saucers? Why would these scientists at Battelle note they had no physical evidence when, according to some, they had all seen the debris at one point and had been trying to reverse engineer it? Were all these records that discussed the Roswell crash (which must be numbered in the hundreds/thousands) removed from the face of the earth? Were all the activities of AMC personnel edited to prevent anybody noticing them flying to Roswell and other places to examine the debris? Why isn’t there just a hint that something unusual had transpired? Is it because NOTHING out of the ordinary happened or is it because of the conspiracy has covered its tracks better than any other conspiracy before or since? All of these documents mean nothing to UFOlogists. Some have suggested that there was an alternate path of communication and all of this was a smoke screen. They insist that any records of a crash were destroyed or that those documents are so classified that nobody would ever see them. Stanton Friedman stated the government has lied before in the case of the Trinity explosion and the U-2 flight by Gary Powers. What he ignores is that these were all public statements and not classified documents. I am unaware of any classified documents that denied the existence of U-2 overflights or an atomic bomb was not exploded at Trinity. To lie to the public in order to cover-up a secret is one thing. To lie and refrain from mentioning the crash to each other in multiple classified documents is another. UFOlogists will ignore these documents with the excuse that the great conspiracy required that these officers lie about crashed materials because they feared that someday it might be possible that the general public could see what was written. With that kind of logic, one can dismiss anything that was ever written by just simply stating it is part of the conspiracy.